The Golden State Warriors didn't have to work up too much of a sweat in their efforts to dispatch the Los Angeles Clippers in Game 1 of their first-round postseason series Saturday. 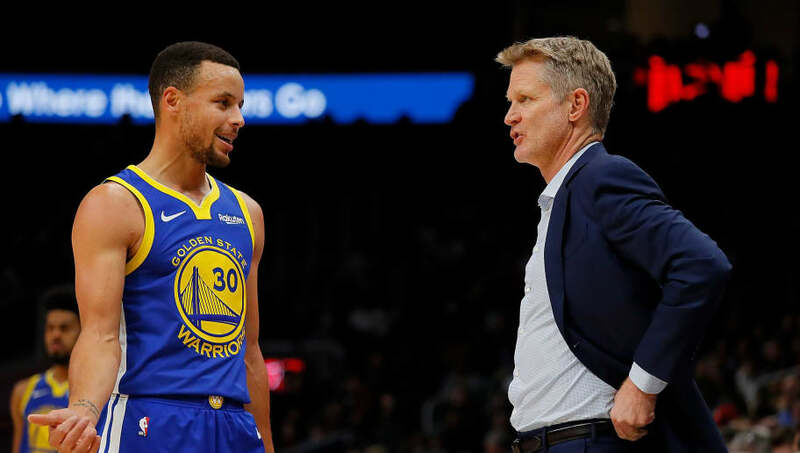 That doesn't mean, however, that Steve Kerr and Co. don't have a few headaches to deal with as they chase an ever-elusive 16-0 run through the ​NBA Playoffs and a third straight championship. The elephant in the room? ​The man who no longer wants to be called Boogie. And to hear Kerr tell it, ​don't get too excited about a rotation heavy on DeMarcus Cousins in crunch time. As crazy as it sounds, the ​Warriors really area a better team from an efficiency standpoint with the "Hamptons Five" grouping of Steph Curry, ​Klay Thompson, Andre Iguodala, Kevin Durant, and Draymond Green than they are with any lineup that includes Cousins. It's not rocket science-- Cousins has never been a top-quality defender, and he's been downright poor on that end of the floor since making his way back from an Achilles injury. Seriously, whose spot does the big man deserve? Certainly not the one belonging to Green, the defensive linchpin of the entire team. And Iguodala? He has been generally hibernating over the last couple regular seasons, but absolutely cranks it up for the playoffs. Most importantly, he can make a difference for the Dubs without needing the ball, something Cousins can't say for himself. And it doesn't have to be any more complicated than that.